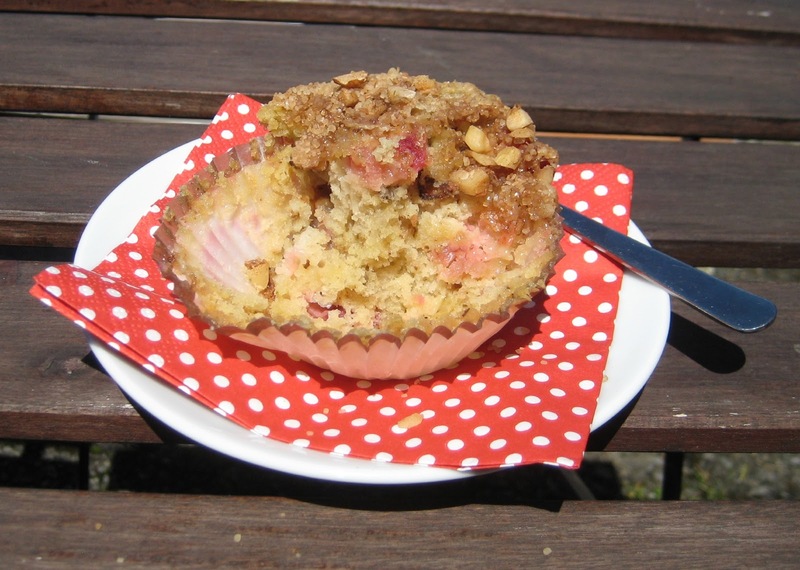 These muffins are moist and the combo rhubarb-walnut-cinnamon is excellent! 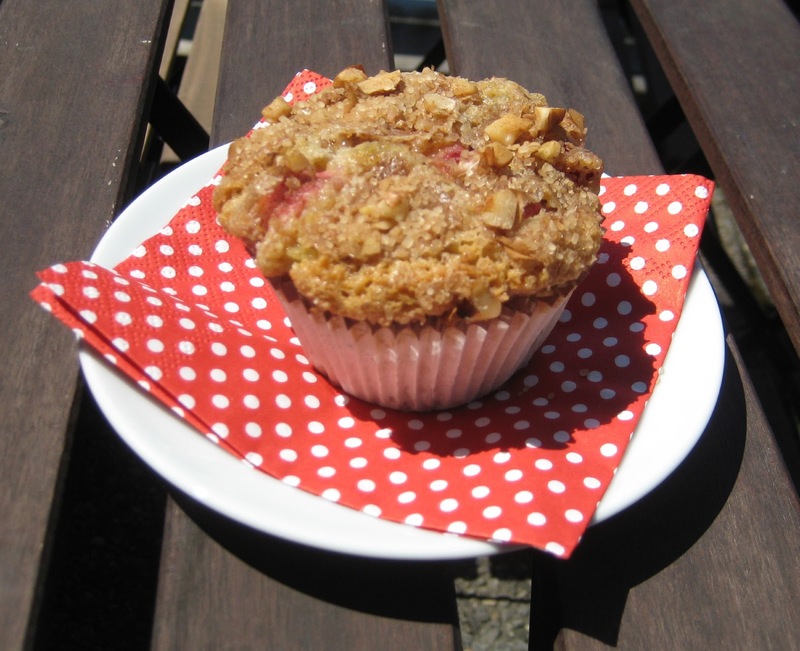 These muffins make a great dessert, snack, or even breakfast if you like. 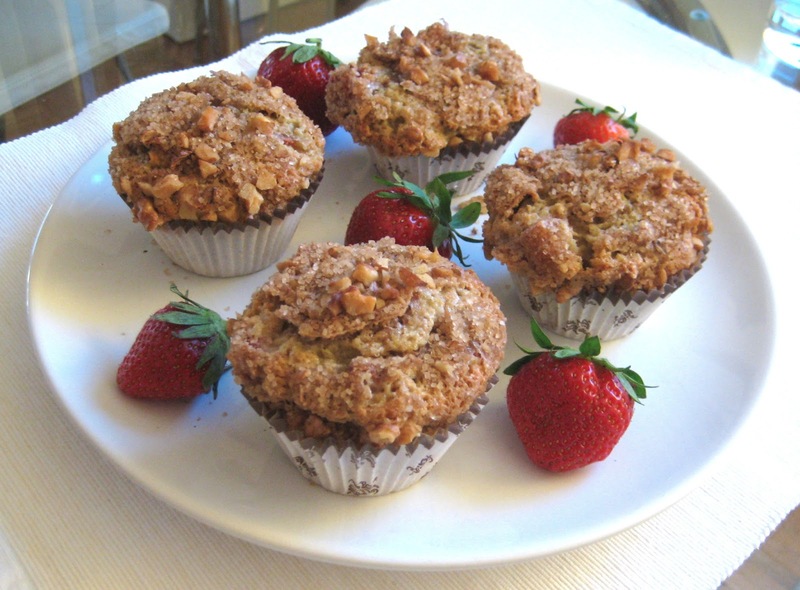 They're super easy to make and you can enjoy them straight out of the oven :-) Enjoy !!! Mix dry ingredients. Add wet ingredients and mix until moist. 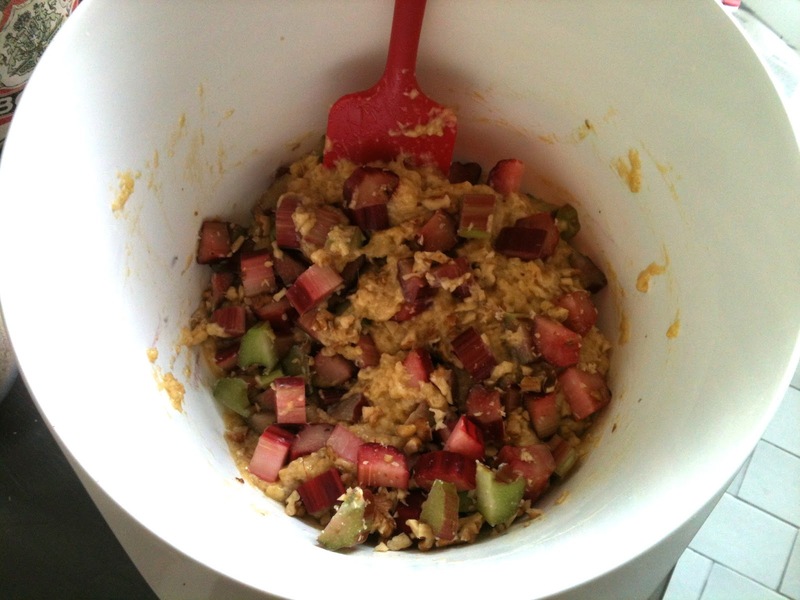 Add the rhubarb and chopped walnuts. 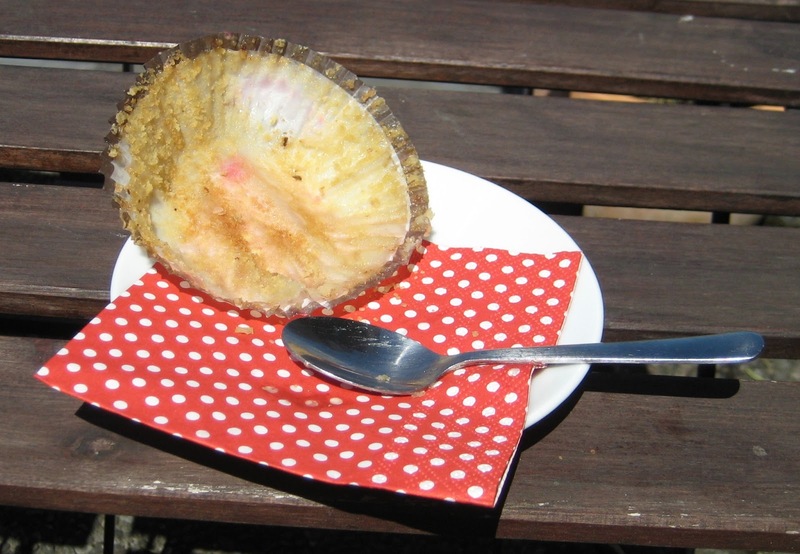 Divide the dough into muffin forms (I use 2 paper forms - 1 inner white and 1 outer colorful for decoration - and a muffin pan to make sure the muffins don't flatten while in the oven). 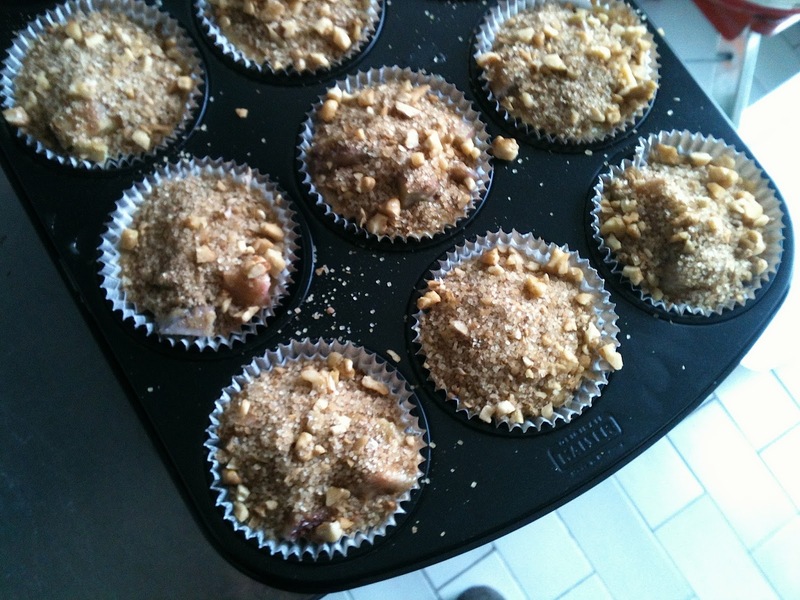 Sprinkle the sugar-walnut mix on the muffin dough and bake in the oven at 175C approx. 25 min.